Toyota's hydrogen fuel-cell operations at its Long Beach, California plant could get a big boost from power provided by methane extracted from the droppings of dairy cows. Toyota North America officials are planning to build the world’s first megawatt-scale carbonate fuel cell power generation plant. But, don’t let these $5 words scare you; they’ve really just found a new use for cow dung. By 2020, Toyota officials plan to open a power plant that is fully fueled by renewable resources at the Port of Long Beach in California. The plant, also known as the Tri-Gen Project, will source methane gas from dairy cattle droppings in order to generate water, electricity, and hydrogen for fuel-cell vehicles. Once the project is complete, the plant will rely solely on local agriculture waste as a power source. Once fully operational, the power plant will be able to generate 2.35 megawatts of electricity and 1.2 tons of hydrogen every day—an output that would be enough to power around 2,350 average-sized homes, and meet the daily driving needs of nearly 1,500 vehicles. 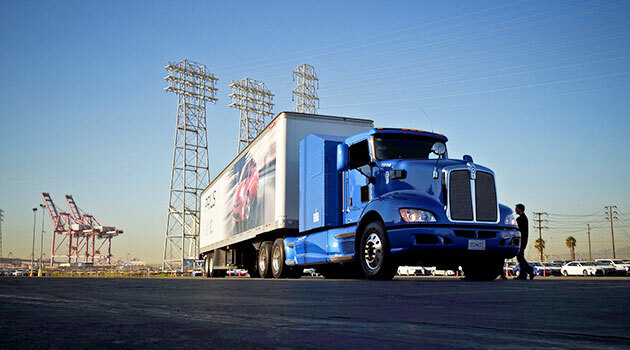 The new plant, coupled with Toyota’s current work at the Port of Long Beach, will allow the carmaker to make hydrogen-powered vehicles a greater priority. Currently, Toyota offers vehicles that run solely on hydrogen like the Mirai sedan and Toyota’s Heavy Duty class 8 trucks, which run on a fuel cell system called Project Portal. On November 30, Toyota officials made the Tri-Gen announcement at the Los Angeles Auto Show with the support of the U.S. Department of Energy, the California Air Resources Board, South Coast Air Quality Management District, Orange County Sanitation District, and the University of California, Irvine. As Toyota moves forward with hydrogen, and away from fossil fuels, the car manufacturer will continue to support hydrogen infrastructure with the drive to create more efficient energy systems and cleaner air for everyone.